If you have a Small Canada Day Celebration - this is the kit for you! 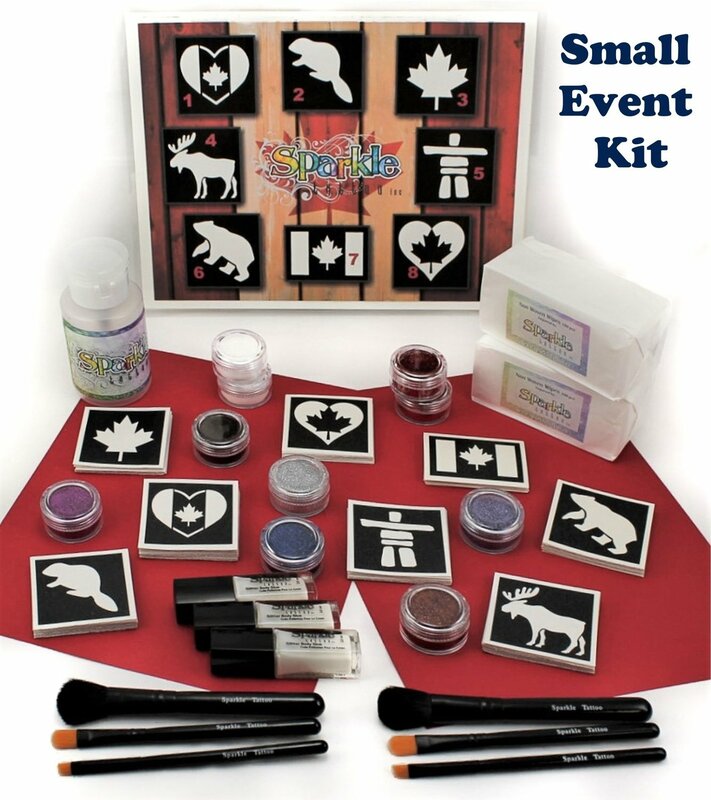 This Kit is perfect for small public events, Family Reunions, Group Barbecues and all Canada Day Celebrations! It includes everything you need to add Sparkle to your event. …and a laminated poster of the 8 uniquely Canadian tattoo designs for your customer to easily choose their tattoo!